What’s Really Concealed in Washington? Dan Brown is a terrific writer and excellent researcher. Here are a few facts and Kabbalistic meanings to some of the facts he dug up for his bestseller The Lost Symbol. 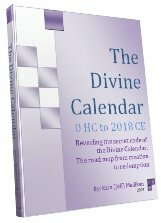 We’ve previously drawn numerous connections between the timing of the founding of America, the State of Israel and the divine calendar as highlighted by the tzaddikim. So it’s quite interesting that the US Capital Building (the home of Congress) has 541 rooms, since 541 is the well-established standard numerical value for the name Israel. Nevertheless, the monument at the core of Washington D.C. and Dan’s book is the Washington Monument, which Dan correctly points out is 555 feet tall and has a capstone of 3300 lbs. Now anyone who knows anything about Hebrew knows that the monument resembles a giant letter (V) of numerical value 6. And the reason this is significant is that 555 x 6 = 3330 and that there are exactly 3330 years from the giving of the Torah at Mt Sinai and the second opportunity for the Tree-of-life reality in 2448 HC and the year 5778 HC (2018 CE), the year given by Rav Ahlag and the tzaddikim for the geula (final redemption) and the third reception window for the Tree-of-Life reality. Who knows who knew what, but there are only 8 years left until 2018. 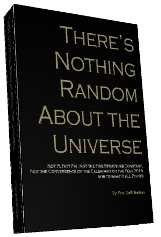 Author Jeffrey MeilikenPosted on July 21, 2010 July 23, 2010 Categories RevelationsTags 100, 100 oz, 115, 115th Congrees, 20, 2018, 2018 ce, 2448 2448 HC, 541, 541 rooms, 555, 555 ft, 5778, 5778 hc, 5778 K, 625, 70, 70 years, Adam, capstone, congress, Dan Brown, final redemption, gematria, geula, hebrew, Hebrew Calendar, hidden codes, Israel, jubilee year, keter, Rav Ashlag, state of Israel, Sun, the lost symbol, tree-of-life, US Capital building, washnigton monument6 Comments on What’s Really Concealed in Washington?